For the season three premiere, Salem Season 3 Episode 1 saw the characters do a role reversal since the last time we saw them. Cotton and John are no longer the leaders they once were, while Mercy and Anne are embracing having power. 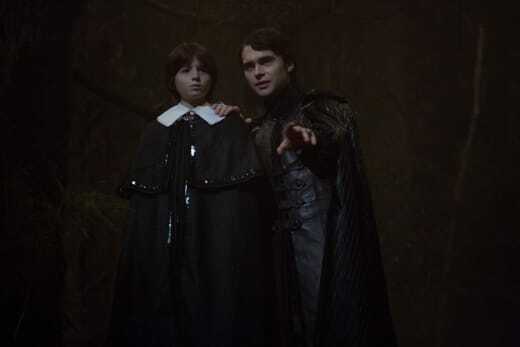 Even the dark lord is a shadow of his child-like self. I was hesitant last season when little John became the big bad. I didn't know if he'd get his hands dirty and pose a threat. But after seeing him kill Countess Marburg last season and now pushing his authority over witches like Sebastian and Anne, I think I'm on board. Remember dear ones, to the Reaper, all flesh is grass...even witch flesh. A great terror will soon fall upon Salem and there is not a soul alive upon this dull earth who can stop me. The dark lord has that innocent yet terrifying presence. Though, the "spinning death" he performs on the Essex witch didn't have the same menacing effect. It's a strange way to kill someone – it felt out of character. Speaking of character, does anyone else love the new Anne? Anne has grown from her wide-eyed ways to become a more confident witch. She even stands up against John when he confronts her! She's in control – part of her is still a hopeless romantic, but now she's also a villain. Anne: My love for you rules all that I do. Cotton: If this is your love, I hope never to see your hate. Permalink: If this is your love, I hope never to see your hate. It's a shame to see her still keeping Cotton captive by the end of the episode. The romantic chemistry between these two characters has always been one of the strongest on Salem. Anne loves Cotton, and he does love her back. But she killed any chance of their happy ending by still keeping him captive. Side-note: The spell with a familiar hiding away in the body gives me the creeps. It was weird with George Sibley, and it's still unnerving with Brown Jenkins scurrying away inside Cotton! Anne: I gave you a simple test and you failed. I left you free to move and speak. If you move or speak against me, Brown Jenkins feasts on your insides. Cotton: You have me in a prison. Anne: No, dear Cotton. I have a prison inside you. Now come to bed. Permalink: You have me in a prison. Mercy is also enjoying a nice change of pace. She always plays the victim before. But now, she's in charge of the brothel and is getting a steady stream of blood. Mercy is a leader and it's great to see her have real friends again. We haven't seen this in a while, possibly since the acolytes. 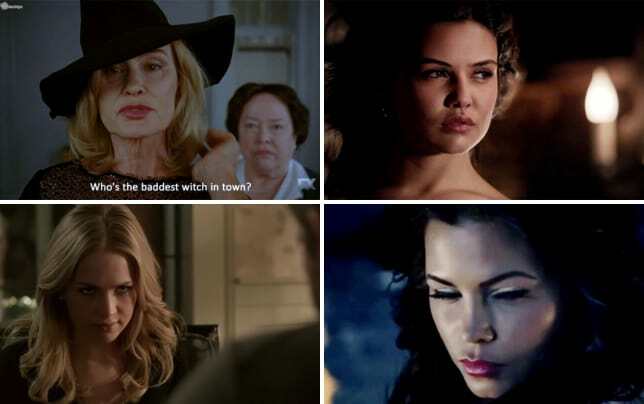 Alice, and the other ladies, could be the revenge she's planning? (A queen does need a kingdom...) If the great death scene she enacted on Alice's uncle was any example, Mercy's powers have grown. Who else was impressed with the new Isaac? He manipulated Magistrate Hathorne not once but twice this episode, and he's helping the community who turned on him. It's great to see him be a force for good. Tituba is another person who I'm glad is still alive. Her cliffhanger death last season was so up in the air but, as weird as it sounds, the birds attacking her might've been the best thing for her. She's a seer now. 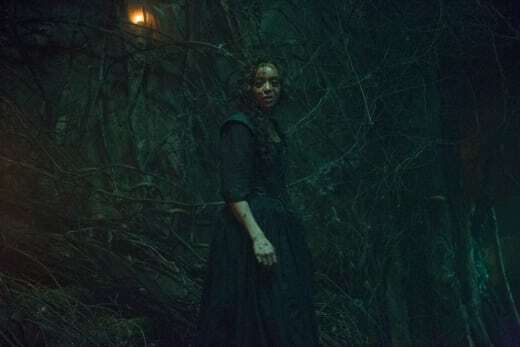 Tituba can see into the future – she sees the destruction caused by the dark lord. And, of course, the only way to stop it is for her and Mary (as in, recently dead Mary) to prevent it. Forgive me, sister. I, as much as anyone, put you in this grave. And now, I must drag you from it. Mary's revival was obviously going to happen this episode. The heartbreaking scene in the beginning of the episode with John Alden burying his love was so emotional (especially with the darker color tones, the rain and music – it was perfect). But it didn't hide the fact it was coming – Mary is too strong of a character to lose. The resurrection scene did leave a little plot hole. Why do none of the witches perform this spell more often? The white-haired Essex witch hints at it but doesn't explain much. Is Mary a demonic presence, like that flesh-eating new ally of the dark lord? Well, she needs SOMETHING if she's coming back to fight him! What did you think of "After the Fall"? Will Mary and Tituba prevent the future? Who is this mysterious ally of the dark lord? If you missed the season premiere, you can watch Salem online via TV Fanatic. Come back to let us know what you think.